Mitrou, East Lokris, and the Palaces of Boeotia circa 1300 to 1190 B.C. This lecture examines ceramic consumption patterns at Mitrou during the 13th and the early 12th centuries B.C. and investigates their significance in the broader socio-political context of East Lokris and Boeotia. This lecture examines ceramic consumption patterns at Mitrou during the 13th and the early 12th centuries B.C. and investigates their significance in the broader socio-political context of East Lokris and Boeotia. The starting point of our analysis is the evidence from five pottery deposits from the site of Mitrou dating to LH IIIB1 and LH IIIB2 Late. We begin by briefly discussing the formation process and the spatial distribution of these materials in their wider archaeological context. We then present the defining features of these assemblages in terms of manufacture, technology, shape distribution, function, and relative chronology within the Greek mainland sequence. Finally, we investigate the implications of these data by placing them in the broader framework of Mitrou, East Lokris, and Boeotia’s historical trajectories during the second half of the Late Bronze Age. In so doing, we integrate ceramic analysis with information concerning the changing socio-political landscapes of central Greece, Linear B texts, and relevant mythological traditions. 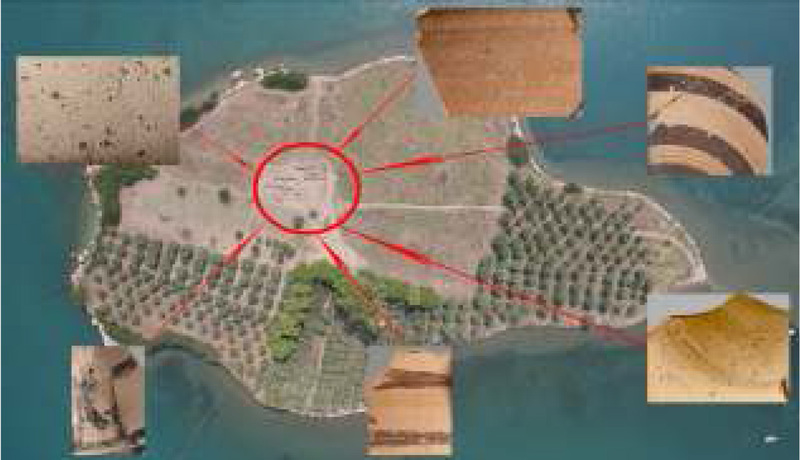 The contextual study of Mitrou’s LH IIIB1 and LH IIIB2 Late ceramic assemblages suggests that during the Mycenaean Palatial period this site may have been under the sphere of influence of one of the ruling centers in nearby Boeotia. We argue that, in the first of these two phases, this center was most likely Orchomenos, which is situated only about 20 km southwest of Mitrou. Although the identification of a Mycenaean Palatial building at Orchomenos is in dispute, the presence of a magnificent tholos tomb and other paraphernalia of royal power, as well as Orchomenos’ geographical connection to the large-scale drainage works of the Copaic basin, leave little doubt that it was the seat of a Palatial polity. The rulers of Orchomenos would certainly have been interested in having access to the North Euboean Gulf via East Lokris. This political situation may have changed in the last decades of the 13th century B.C. The destruction of the fortified site of Gla towards the end of LH IIIB2 Early likely indicates the demise of the Palatial polity of Orchomenos, since the two centers were closely linked through the Copaic drainage system. Following this major event, Mitrou’s LH IIIB2 Late ceramic deposits show Theban connections not only in terms of stylistic developments, but also in the typological and functional repertoire of vessels for eating and drinking. Based on these data, in the final part of our lecture, we suggest that Thebes may have taken possession of Mitrou and the eastern part of East Lokris after the destruction of Gla, thus taking over Orchomenos’ access to the trade networks in the North Euboean Gulf. While Linear B tablets offer controversial, if any, information on the political status of East Lokris during the last decades of the Kingdom of Thebes, mythology provides a fascinating background to this scenario. In fact, according to some traditions, the drainage system of the Copaic basin was destroyed by Heracles and the Thebans, while others report that Heracles, after helping Thebes to prevail over the Minyans, burned the Palace of Orchomenos and razed the city to the ground.